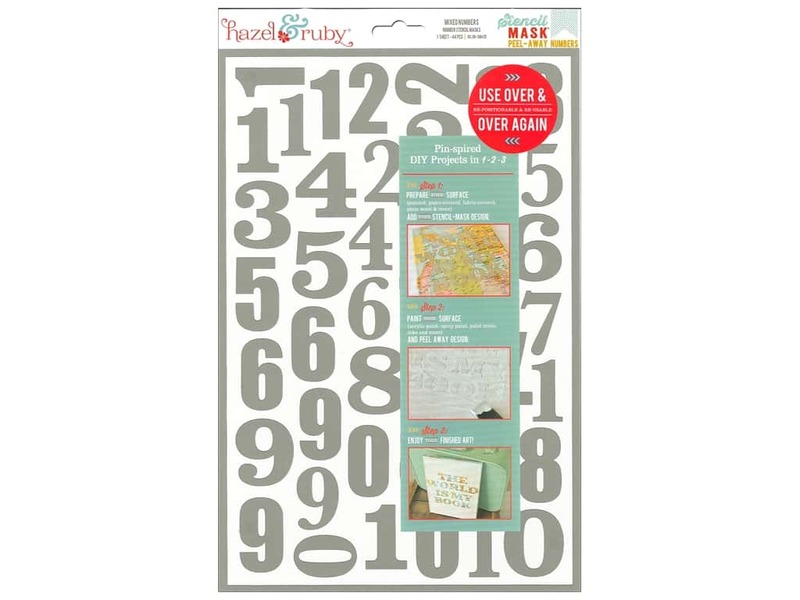 Description: Hazel & Ruby Stencil Masks are re-positionable peel-away mask shapes that can be used over and over. Just stick them to your project paint over them and then remove them. Voila your original background is now the featured star. 8 x 12 in. Mixed Numbers- 44 numbers in different fonts. Includes at least 3 of each number. Average size is about 1 1/2 inch. See more Hazel & Ruby Stencil Mask.